Posted on 09/04/2015 by Mickey McCarter	in Live Review and tagged 30th anniversary, acoustic, Hamilton Live, Mike Peters, rock, Strength, The Alarm, The Hamilton, Wales. 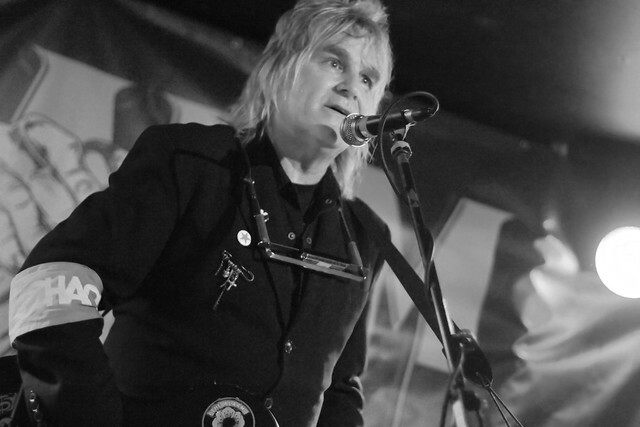 Mike Peters of The Alarm spent much of 2014 celebrating the 30th anniversary of his band’s first full-length album, Declaration. In doing so, he made a solo visit to Gypsy Sally’s in Georgetown. “All in all, Peters put on an incredibly satisfying and entertaining show in a venue well suited for his solo performance and witty recollections,” I reported for the sadly defunct We Love DC on the show, held August 7, 2014. A little over a year later, Mike is back, celebrating another anniversary! 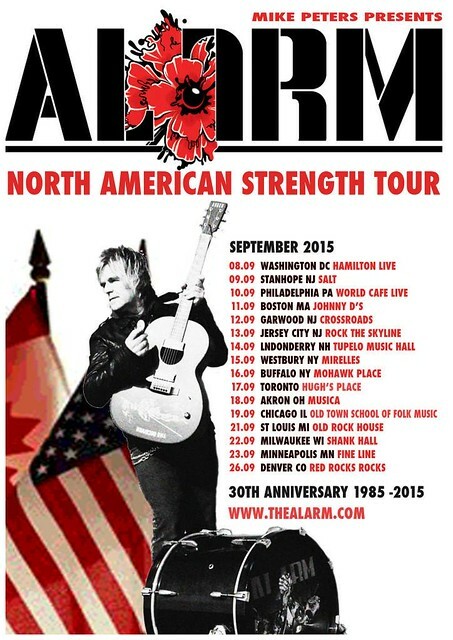 This time around, it’s the 30th anniversary of The Alarm’s second full-length album, Strength. And the celebration takes place locally in a solo show at the Hamilton Live on Tuesday, Sept. 8. As a “one-man band,” Mike will play the album Strength along with other songs while sharing stories and images to honor the album, his band and their history. The album includes such beloved classics from The Alarm as “Spirit of ‘76” and “Walk Forever by My Side.” The album and much of its material is inspired by Mike’s own fight against cancer. registered over 90,000 donors through its “Get On the List” program.